Personally I tend to walk everywhere and do the sports or hit the gym when I fancy whilst, seeing exercise as an area which shouldn’t feels like a chore but it makes me more motivated and uplifted afterwards. Doing any type of exercise should not put you under pressure to maintain a lifestyle which isn’t the real you either. Just because of the celebrity gym bunnies you see photographed in the press. On a bit more of lighter note exercise should be something you feel proud of because you get to know what works for you and your body whilst, get to meet a lot people along the way by joining in. Continuing with latest beauty series on the blog I have got in touch with one of the most up and coming Sportluxe designer and also a qualified personal trainer Charli Cohen. To talk about the next steps for continuing to refreshing your inner self ahead of summer. 1. How does someone who wants to get into shape start their routine? Set realistic, time-framed goals. Break this down into manageable, weekly targets and don’t try to change everything at once. Write these down and keep a written and photographic record of your progress – this helps to keep you accountable and motivated. 2. Most women target their stomach area as of part of getting into shape. What types of exercises would you incorporate into a gym session? You may have heard the term ‘abs are made in the kitchen’: this is absolutely true. If your diet isn’t on point, no amount of exercise will result in a toned stomach – least of all crunches and sit-ups. Base your meals around lean protein, fibrous veggies and healthy fats and focus your gym training on heavy, full-body resistance training. Done consistently and correctly, this will have you losing fat everywhere, including problem areas such as stomach, hips and thighs. 3. Finally how can women make sure they are getting the best out of their session at the gym? What can they do to make sure they continue their routine of exercise into their daily life after being on holiday? Back to my first point: setting goals, making small, consistent changes and tracking your progress is key. If you’ve been realistic in your goal setting but still aren’t seeing results, call on a qualified professional to help you tweak your nutrition and training for optimum results. And make it fun! Experiment with recipes, vary your workouts – there are so many different ways to get fit and healthy, so find the methods that YOU enjoy. It’s much easier to turn these into permanent lifestyle changes. Your fitness levels are part of your wellbeing reset which will balance out everything amongst helping maintain your health. 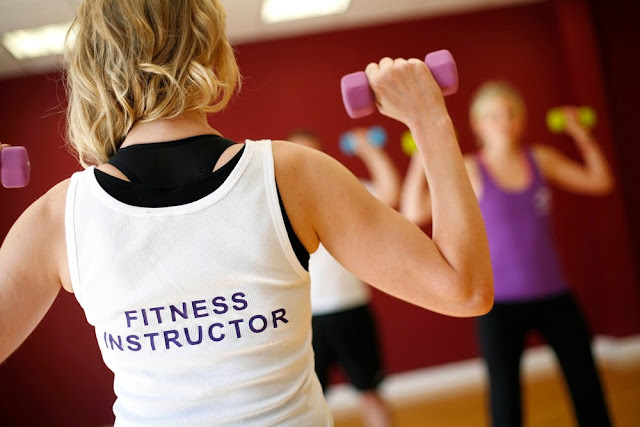 Throughout your fitness goals you may need a personal trainer to help you.